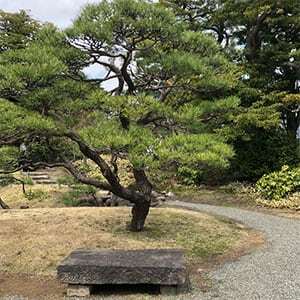 This is the compact form of the very popular Japanese Black Pine that is so widely used in Bonsai. Its natural growth habit is anything but symmetrical, and as it grows it naturally forms tufts of foliage. This habit makes it an excellent choice for cloud pruning as well as topiary. The common name of Thunderhead, is a reference to the growth habit, thunderheads of foliage. If left to its own devices, it will form a sculptural piece by itself. If pruned, these plants can be works of art. 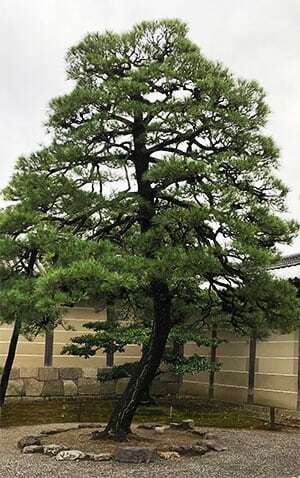 The Black Pine is almost exclusively used in the art of “Niwaki’. Here they are sculptured and pruned into into classical shapes. Niwaki simply means Garden Tree. With very deep green foliage and a slow growth habit. A few other worthwhile features are the tolerances of this plant. It will grow in full sun to part shade, it grows is well drained soil and once established is regarded as drought tolerant once established. It is also slow and low growing, so unlike some other conifers, it will not become a take over merchant. Pruning is not actually required, however it is for Bonsai and Topiary that this plant is most commonly grown. Foliage – Typical needle like foliage that is tufted. You will find a number of named varieties, although not all are readily available. Mikawa has a deeply fissured bark which gives it an aged look earlier on than the others.